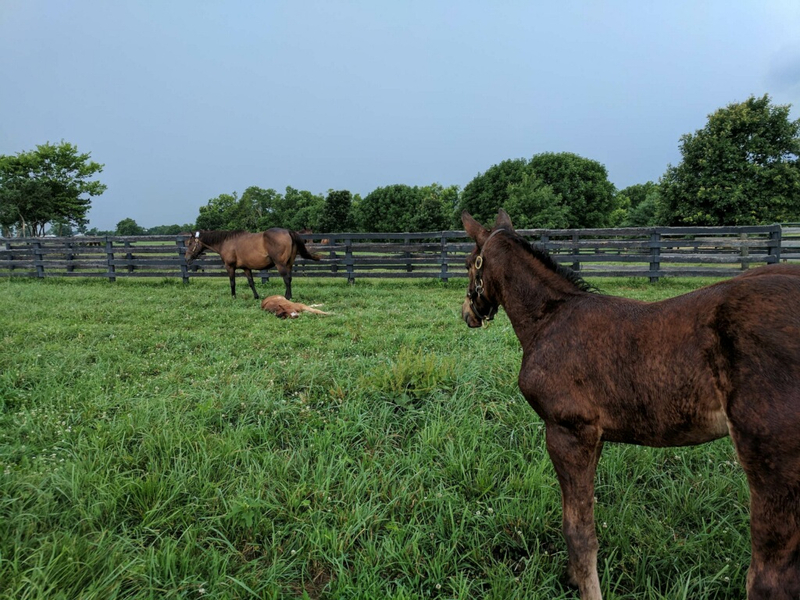 A dark bay or brown daughter of Arch out of the Kaldoun (FR) mare Kalosca (FR), Arravale was a three-time graded stakes winner and won the Canadian Sovereign Awards in 2006 for Horse of the Year and Champion Turf Mare. Trained by Benson MacDonald, Arravale won her career debut as a 2-year-old at Woodbine in August of 2005 and a month later won the Grade 3 Natalma Stakes at the same venue. As a 3-year-old in 2006, Arravale won the Grade 1 Del Mar Oaks and the Grade 1 E. P. Taylor Stakes. She also won the listed Alywow Stakes that year and finished second in the Grade 2 Canadian Stakes and third in the Grade 1 American Oaks. Arravale finished her career with a record of 5-1-2 from 15 starts and earned $1,129,697. Arravale was purchased by Merriebelle Stable at the Keeneland Association November 2016 Breeding Stock Sale for $490,000. After 20-plus years of being avid racing fans and industry investors, Charles Noell and John Moores purchased Chanteclair Farm in 2013, forming Merriebelle Stable. 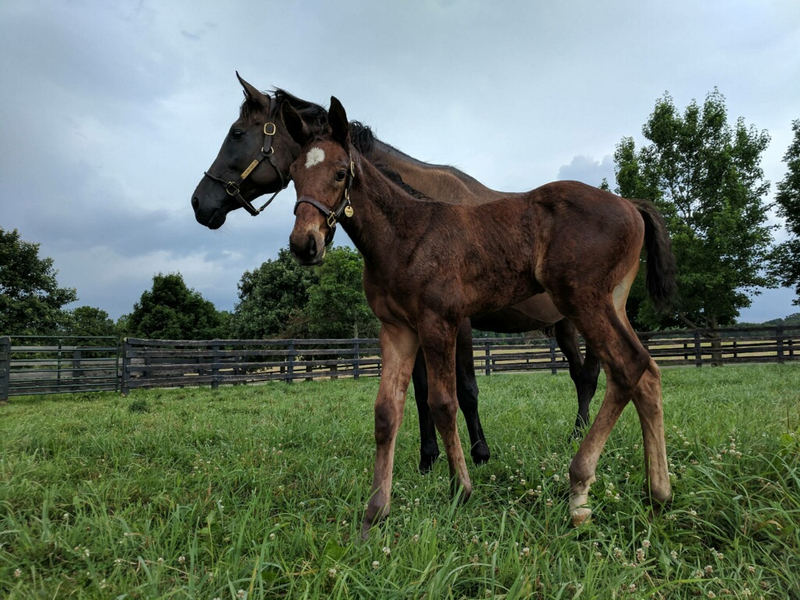 The farm’s 400 acres of lush prolific fields and rich history, which boasts being the birthplace of champion filly Royal Delta, drew the pair to call Chanteclair home for their emergent broodmare band. Although in its infancy, Merriebelle Stable flourished on the racetrack in 2017 with success in several graded stakes with performers such as Happy Like A Fool, Light Up Our World and Blue Prize. 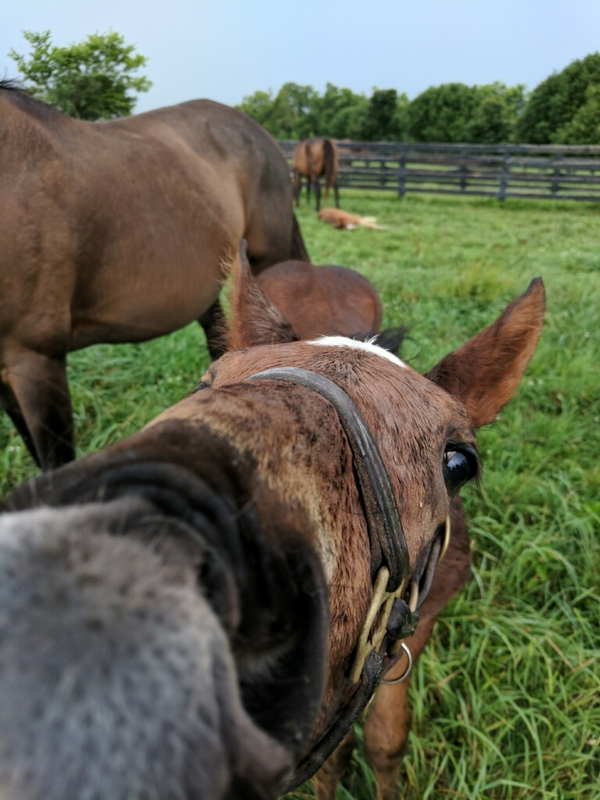 Sign up for Foal Patrol updates and alerts.